Home decor tasks can get rather expensive, but they do not always have to be that way. If you want to achieve a warm, inviting and cozy home, try changing out some of your light fixtures. Using a little bit of creativity in the color of your light fixtures as well as how the light is projected can actually go a very long way in changing up your home decor. Lamps Plus has a new line of lamps called the Color+Plus Lighting collection. This collection of lamps comes in over 60 colors, which is a wide selection of beautiful vibrant color. Once you select the color of your base, you then select the design style of your lampshade. They can really add just the right amount of pop of color to your room. 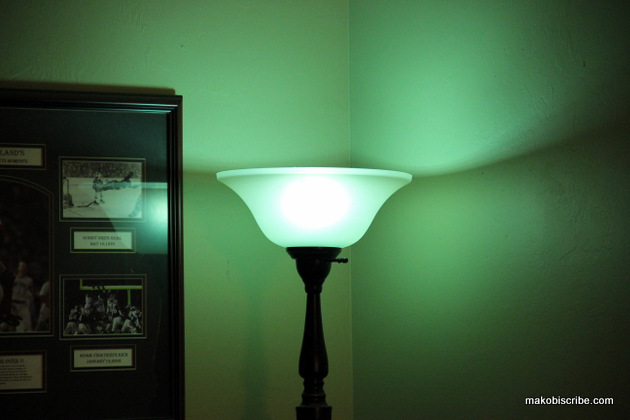 Depending on the placement of that lamp, you can add more focus to the actual lamp and color, or can effect how the room is lit. How the lighting is cast, depending on lamp placement can really change the feel of the room. Also, the brightness and type of bulb can have an impact as well. You can do a lot with color if you want to start Decorating Your Rooms For The Holidays. Look at how beautiful the holidays can be with a little added light! You can add a little bit of Christmas with just the change of a bulb, or you can even change the whole lamp base or even go crazy and do both. Imagine how beautiful a base lamp from Color + Plus™ lamps in designer colors like red or green would look with the opposite color bulb in it! How fun! If you added a little garland and hung an ornament from the switch, you would barely need a tree. Lamps Plus was established over 36 years ago in 1976. Since coming into existence they have become know for their excellence in the lighting retail industry. They work with over 40 retail lighting superstores, making them the nation’s largest specialty lighting company. Their selection of lighting includes top name designer brands as well as products exclusively available from Lamps Plus. Lamps Plus has a beautiful assortment of light fixtures for your home. They are currently offering 10 – 50 % off on 100’s of their lighting styles. The Color+Plus lamps are currently available for $149.99, but are normally $224.99. Visit their online store today to see what they have in-store for you! I was selected for this opportunity as a member of Clever Girls Collective; the opinions expressed here are all my own.